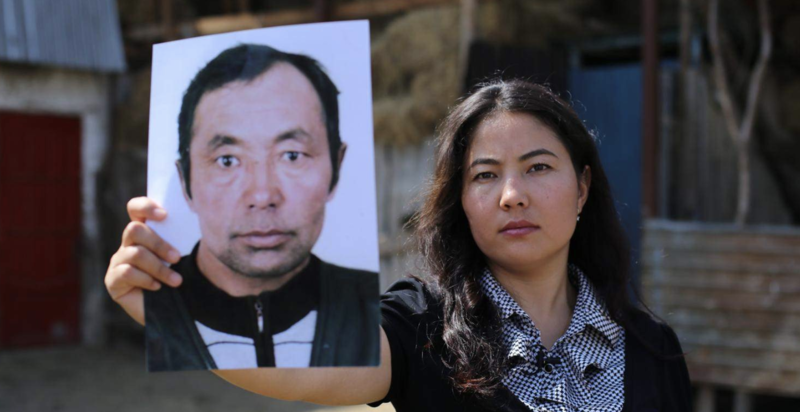 It seems convenient for the world to turn a blind eye to China’s mass internment of Uighurs in its northwestern Xinjiang Province. 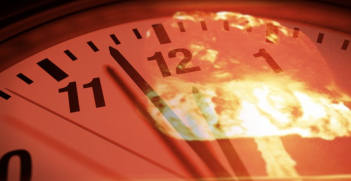 But the repercussions from inaction may prove a threat to stability both in the Asia Pacific and around the world. The facts regarding what is taking place in Xinjiang are now impossible to ignore. Up to one million Uighur Muslims have been detained in a series of concentration-like camps. Outside the camps, basic human rights like freedom of movement and freedom of religion are routinely violated, all on the pretext of fighting “terrorism.” In reality, Chinese activities look like more of an attempt to “Sinicize” or in other words, eradicate, Uighur culture. In a development which has serious implications for regional stability and human rights globally, both the Muslim world and the West have failed to act meaningfully. Two main factors explain the global reticence on the plight of the Uighurs – the silencing power of Chinese largesse and the decline of human rights as a key Western foreign policy priority. Throughout the Middle East and to a lesser extent even in the EU, Chinese cash has been very effective at buying the silence of governments who previously have been vocal on the Palestinian and Rohingya issues. Tellingly, Beijing is the top trading partner of 20 out of 57 members of the Organization of Islamic Cooperation and has invested heavily in Saudi Arabia and Indonesia, two of the self-declared leaders of the Islamic world. Most astonishing has been the silence of Turkish President Erdoğan, the self-appointed protector of Sunni Muslims and Turkic peoples – of which, the Uighur are both. Facing a rapidly depreciating Turkish lira mid-way through last year, Erdoğan accepted Chinese economic assistance on the proviso that he refrained from making “irresponsible remarks” about the Uighur situation. It is worth noting that many states in the Islamic world have human rights concerns of their own which they prefer not to highlight. Silence on the Uighur issue and cooperation with China therefore also functions as part of a convenient quid pro quo. In the Western camp, it is fair to say that human rights is not a priority of the Trump administration. Lacking the cover of US leadership and with an increasingly realpolitik turn in European foreign policy, EU actions have been limited to condemnatory words. Encouragingly, a group of US legislators has tabled a bipartisan measure that proposes the introduction of sanctions against key Chinese officials, as well as the restriction of Beijing’s access to surveillance technology. However, the concern is that the prospect of sanctions will merely be used as a tool to pressure Beijing in the widening geopolitical and economic dispute between the two nations. Alternatively, if the truce in the trade war becomes more permanent, Congress may refrain from rocking the boat. The impunity with which China’s actions have been met is not merely a quixotic concern for human rights campaigners. There are real dangers for stability in the Asia-Pacific and indeed around the world. Firstly, in the Central Asian region, China’s activities will only help the recruitment efforts of a variety of extremist groups including the East Turkistan Islamic Movement (ETIM) and Turkestan Islamic Party (TIP), who both seek an independent Uighur homeland, and groups like ISIS, who have a more global focus. Research indicates that more than 4,500 Uighurs have fled China into Afghanistan – with many joining ETIM and TIP. Moreover, up to 5,000 Uighurs are reported to have fought in Syria for a variety of groups including ISIS and Al-Qaeda. Stories of torture-like conditions and arbitrary arrest have provided an excellent narrative of oppression for the Islamic state of Khorosan Province, who has called for a jihad against China. Uninhibited Chinese repression in Xinjiang thus threatens to destabilise neighbouring countries while creating significant blowback within China. Secondly, the international community’s mute response will only raise the temptation for leaders considering implementing equally repressive measures on their own minority populations. Whilst it is true that almost no countries have the economic clout that China does, some countries may chose to ally with Beijing so as to prevent punitive action – a tactic adopted to some extent by the Tatmadaw in Myanmar and Rodrigo Duterte in the Philippines. With Chinese influence and largesse only set to grow, this is a problem that will only worsen unless concerted action is taken now. At stake is not only human rights, but the growth of terrorist movements, irregular migratory flows and the general stability of already fragile societies. Finally, there is every indication that China is using Xinjiang as a laboratory as it seeks to become a world leader in the technologies of 21st-century authoritarianism. Beijing has taken advantage of the Uighurs’ non-Han features to perfect their mass surveillance technology, which is being further enhanced by insights provided by big data. China fully intends to export this technology, and sales are in the pipeline or have already been made to countries ranging from Malaysia to Venezuela. Standing up to China on any issue – particularly on an issue which it sees as exclusively within the purview of domestic politics – is never going to be easy. However, the reality is that China’s actions in Xinjiang have effects which transcend its borders. In the interests of global security, concerted action must be taken now. Henry Storey is completing a Masters of International Relations at the University of Melbourne. 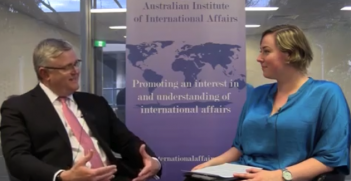 He is a Middle East North Africa Analyst at Foreign Brief, and was previously the Australian Foreign Policy Fellow at Young Australians in International Affairs. 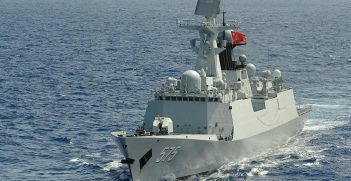 The revelation that China had a spy ship off Australia’s coast recently is only part of a bigger story. As China flexes some strategic muscle, what are the implications for Australia? In the wake of the 2015 Australia-China Free Trade Agreement, trade between the two countries remains dominated by commodities exports.